Materials: Vanilla/cream painted aluminium “diabolo” lampshade, white painted on the inside. Curved brass rod and brass knee-joint. Black painted aluminium base, brass socket. Some iron and brass parts. Electricity: 1 bulb B22, 1 x 75 watt maximum, 110/220 volt. 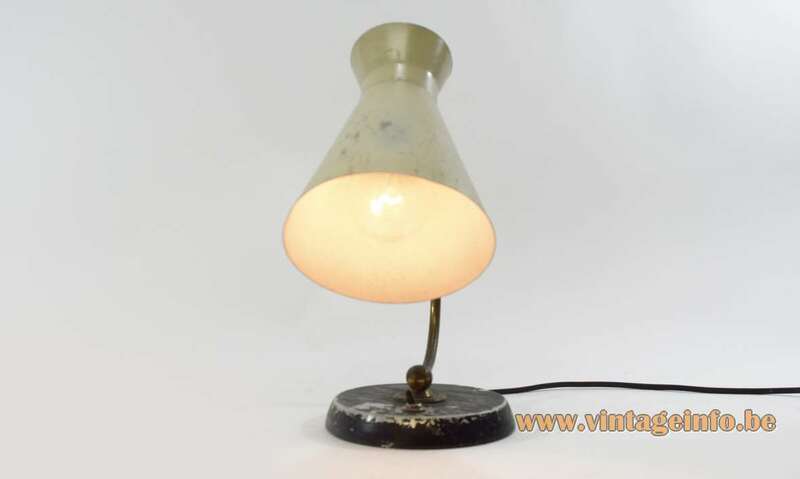 Other versions: The lampshade was made in several colours. The base is always black. 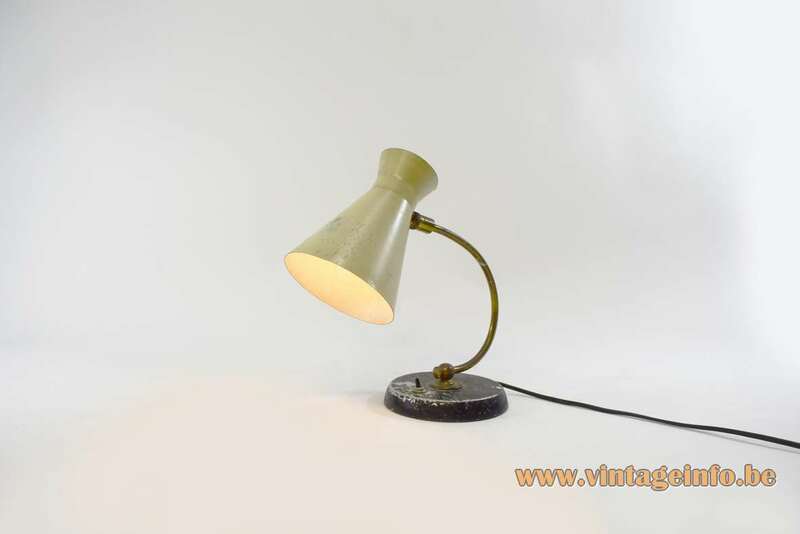 On the switch of this table lamp is the logo APR visible and written below “Made in France”. APR is the company that made the switch. It does not exists anymore. 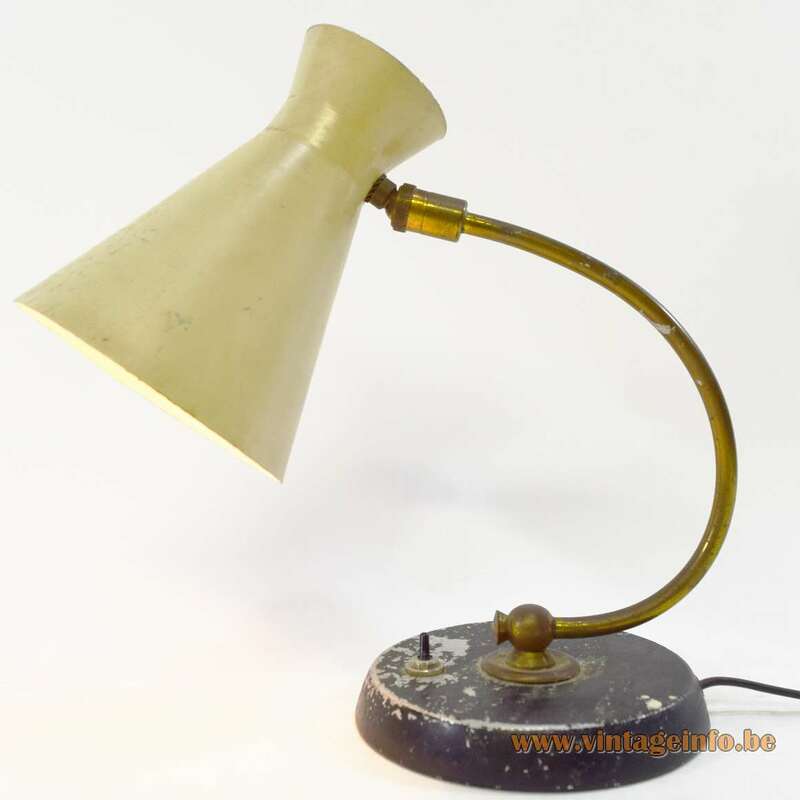 This lamp got everything to be a French lamp. The diabolo lampshade, the B22 socket (bajonet) and the switch. 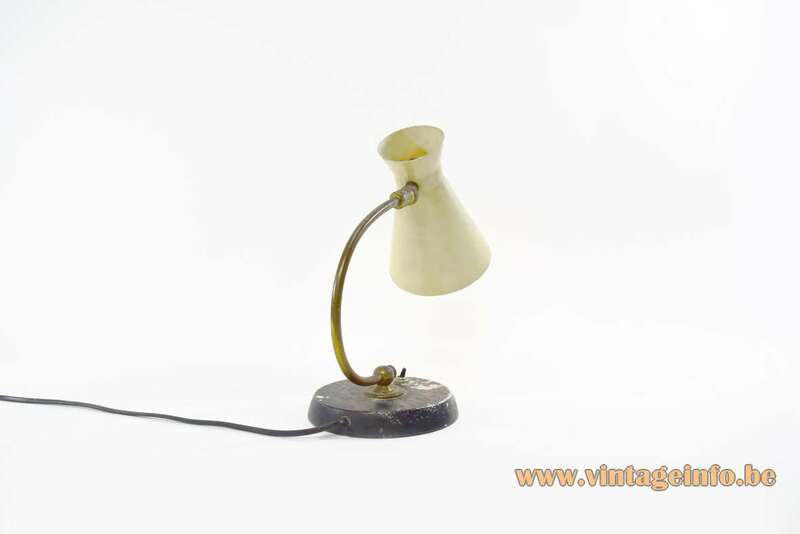 Similar lamps are always presented as French table lamps and for sale in France. This one is also acquired in France some years ago. 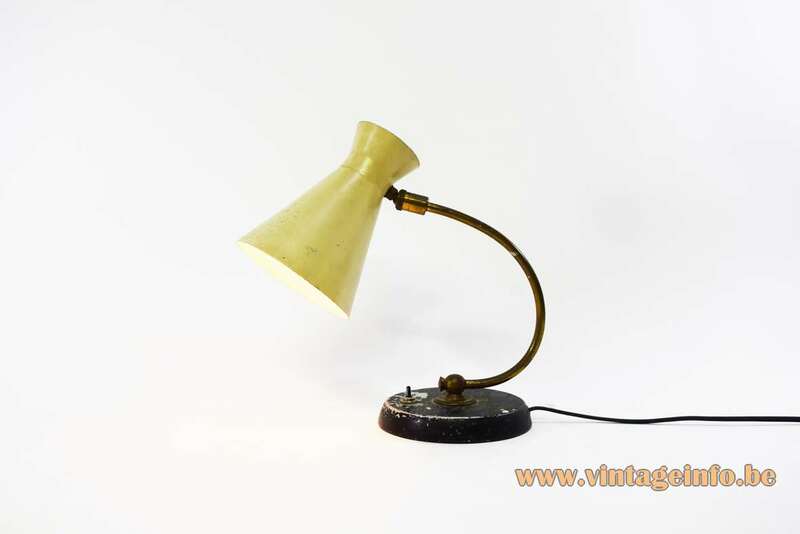 The French have named these lamps “cocotte table lamps” (casserole). 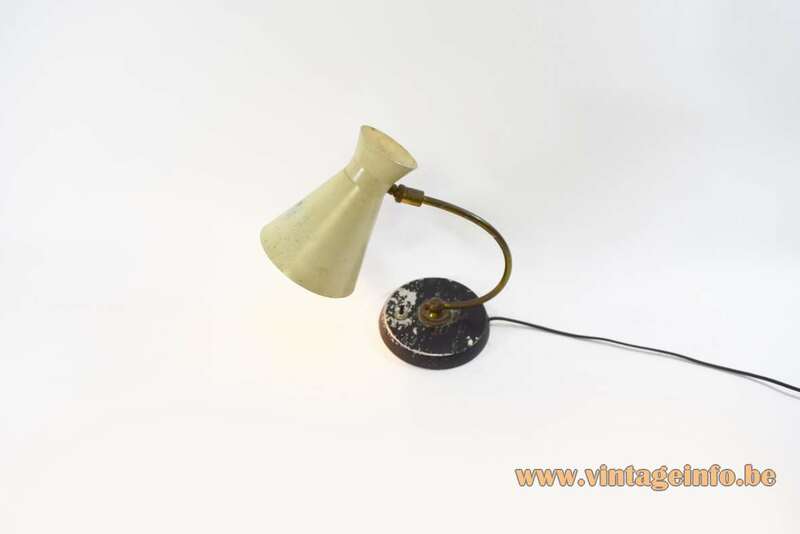 The diabolo lampshades were very popular in the 1950s. 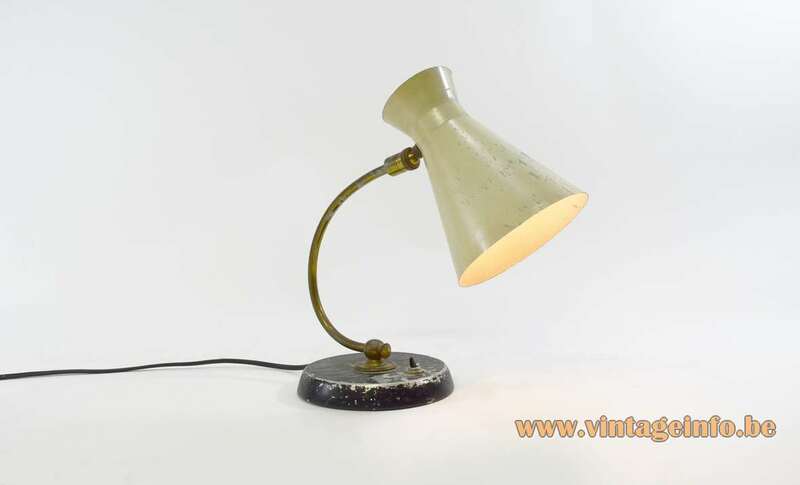 You can find several examples on Vintageinfo. The diabolo, some yo-yo, has it’s origin in China. It’s a double-coned bobbin that can be twirled, tossed, and caught on a string secured by two sticks, one held in each hand. The first diabolo’s were made of bamboo and they made some whistling sound.